NVIDIA Quadro FX 2700M is a Display Adapters hardware device. This Windows driver was developed by NVIDIA. 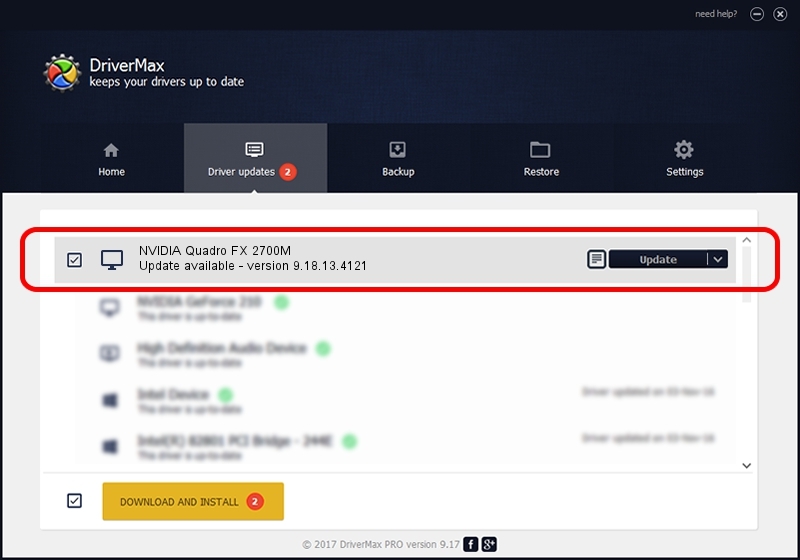 In order to make sure you are downloading the exact right driver the hardware id is PCI/VEN_10DE&DEV_063A&SUBSYS_211917AA. 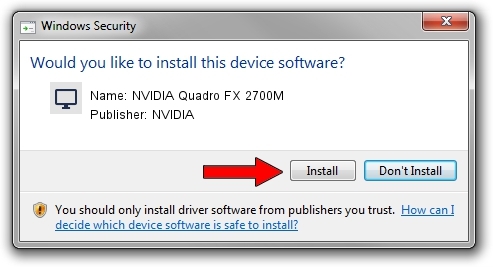 Download the setup file for NVIDIA NVIDIA Quadro FX 2700M driver from the link below. This download link is for the driver version 9.18.13.4121 dated 2014-11-25. Start the driver setup file from a Windows account with the highest privileges (rights). If your User Access Control (UAC) is enabled then you will have to accept of the driver and run the setup with administrative rights. This driver received an average rating of 3.1 stars out of 53494 votes. Take a look at the list of available driver updates. Scroll the list down until you find the NVIDIA NVIDIA Quadro FX 2700M driver. Click on Update.